The GE U23C, developed in the latter 1960s, was a late model of the line manufactured by General Electric for use in yard, transfer, and heavy drag service. 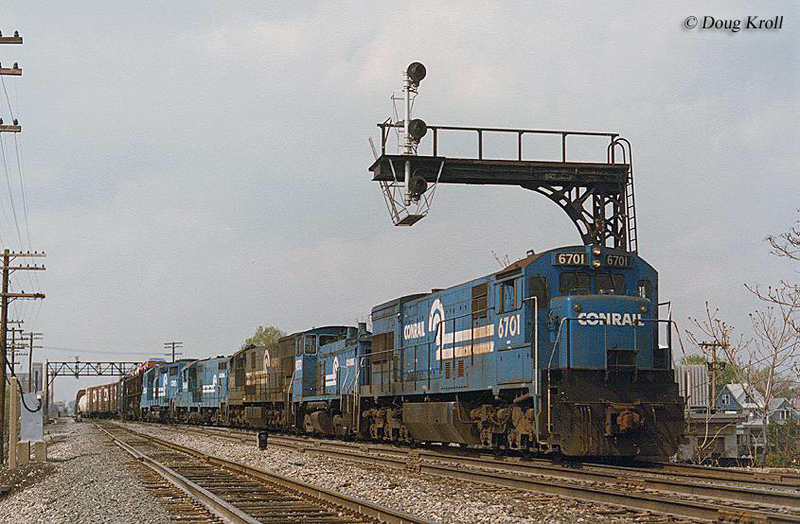 It featured a variation of GE's FDL prime mover and was meant to compete with similar models being offered by the Electro-Motive Division (EMD), notably the SD38 and SD39. While final U23C sales appeared to be rather successful most purchases were by a Brazilian railroad as few were actually ordered by US Class I systems (less than 100). The specialized nature of the U23C was not of particular interest to many by the late 1960s, especially considering that other models being cataloged at the time could perform the very same tasks, notably EMD's phenomenally successful SD40 series released in 1966. Today, there is one U23C known to be preserved, Lake Superior & Ishpeming #2300 (in its original colors and number) located at the Arkansas Railroad Museum. The GE U23C began production in March, 1968 using a 12-cylinder version of the company's 4-cycle FDL prime mover, which could produce 2,250 horsepower. The model was virtually identical to the U30C save for that it had two less hood doors per side of the carbody, since the engine was a 12-cylinder and not the standard 16-cylinder found in the U30C and other models. GE's six axle Universal locomotives offered far greater tractive effort than their four axle counterparts. For instance, the U23C featured ratings of 85,800 pounds starting and an even better 90,000 pounds continuous. The company intended the model to pull heavy loads and it certainly had the tractive effort to do so. The U23C was essentially a transfer locomotive, which other builders like Baldwin and Alco had attempted to market more than a decade earlier. Once again many systems found little interest in this specialty locomotive type and few American lines actually purchased it as only 53 were sold to four lines. 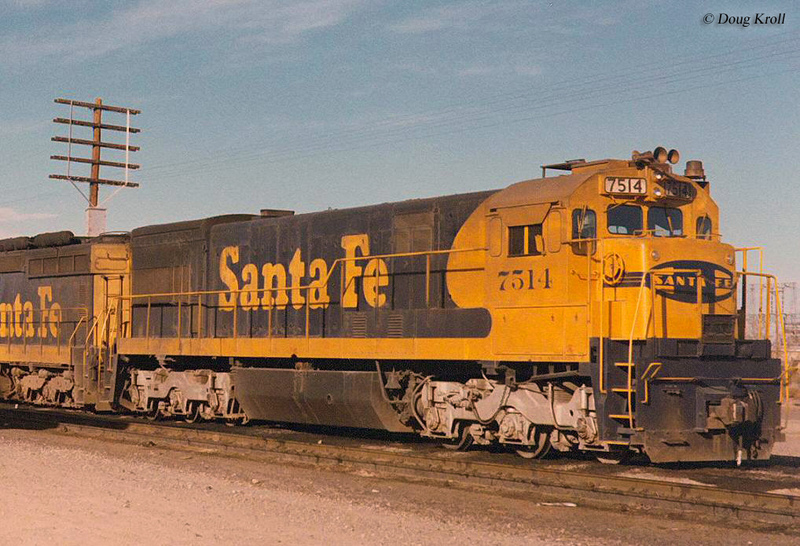 However, it should be noted that similar models built by EMD, the SD38 and SD39, also saw only lukewarm sales as the five total variations of the models sold only 237 units combined. The U23C's sales appeared healthy as Brazilian line Rede Ferroviária Federal S.A. purchased 170 models during the mid-1970s. The company initially bought just 20 units but liked them so well that they picked up an additional 150 during the mid-1970s, which is why GE cataloged the U23C for so long. 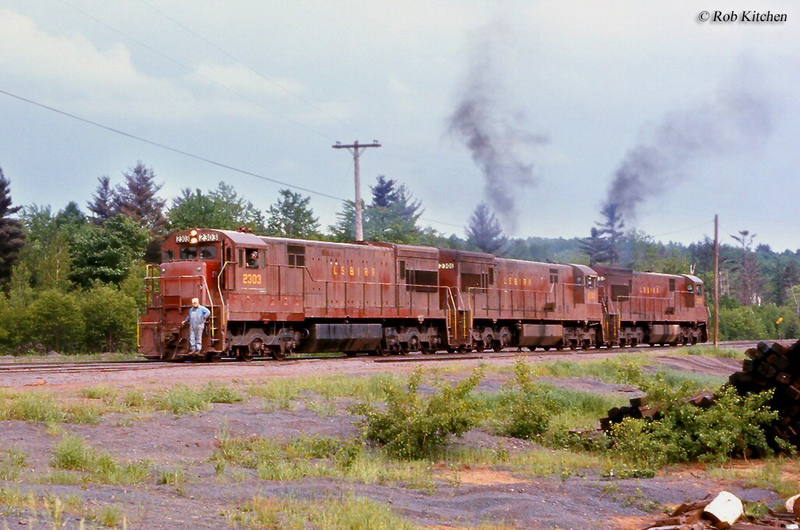 The US railroads that purchased the GE U23C included the Santa Fe (20); Chicago, Burlington & Quincy (9), Lake Superior & Ishpeming (5), and the Penn Central (19). While the historic LS&I purchased the fewest it found the locomotives to be well suited in heavy drag service hauling loads of ore through Wisconsin and Michigan. The company continued to use the six-axle locomotives through the 1990s before finally replacing them with newer motive power. Interestingly, the Rede Ferroviária Federal S.A. of Brazil continues to use their U23Cs in regular freight service, nearly 40 years after the last one was delivered to the company.